Immediate Vacancy-Litigation Solicitor for Professional Negligence Claims required in Middlesbrough. We are looking for a motivated and energetic LITIGATION LAWYER with a good academic background. An eye for detail and a real sense of justice are essential. The individual must be able to work in a team and have great Client Care, Risk Management and Business awareness. Previous Litigation experience is required, (NQ or part qualified with good credentials and litigation experience considered). We are a niche Professional Negligence practice, specialising in claims against Lawyers and we are looking for a new addition to our team. We are based in MIDDLESBROUGH in the North East, which is a great place to work. Basic legal knowledge and litigation experience more important than professional negligence experience as in-house training and supervision will be provided. 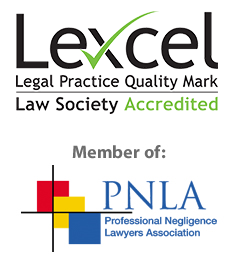 This is a unique opportunity to join a niche practice helping real victims of Lawyer’s negligence from all around the country, working from a base in the North East of England.